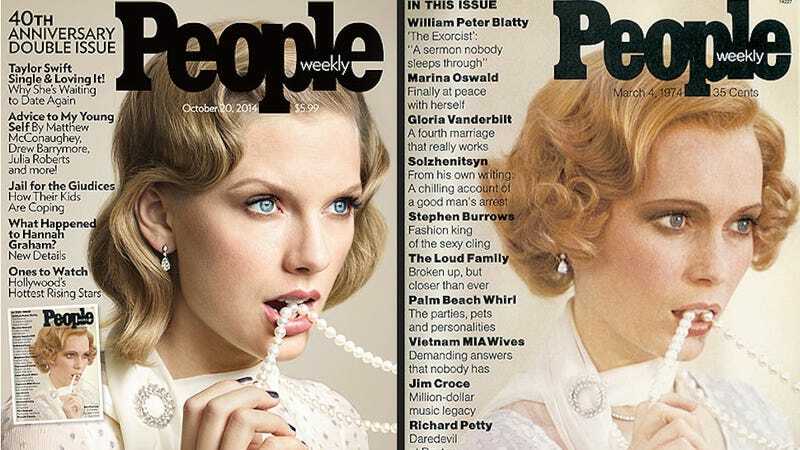 Huh: It's the fortieth anniversary of People magazine, and they've chosen to mark the moment by having Taylor Swift recreate the iconic premiere cover, featuring Mia Farrow as Daisy Buchanan. Somebody turn this image into 800 words on the shifting shapes of American eyebrows by EOD. 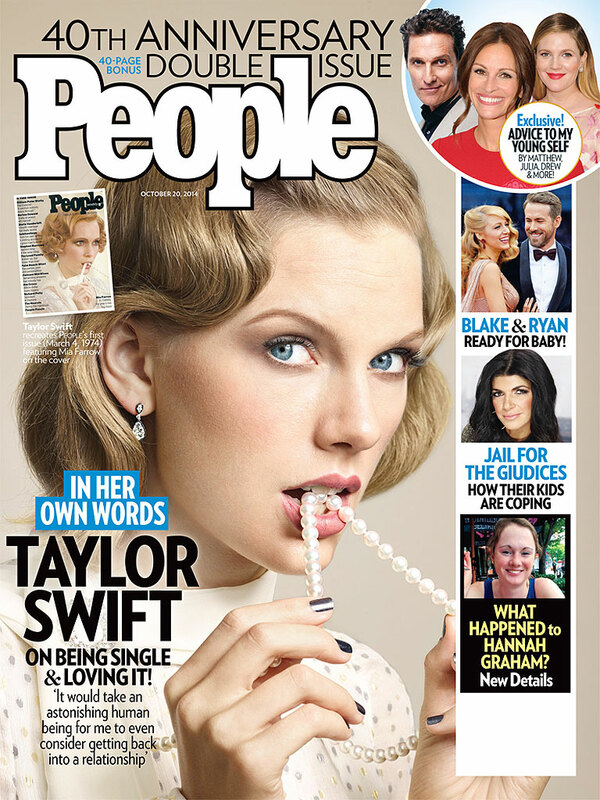 According to the accompanying story, Swift is focusing on doing her: "The last couple of years have been about defining life on my own terms," she informed the mag. "Being on my own, prioritizing my girlfriends, my family and my music above everything else and trying things I never thought I'd try." Like gnawing on some fake pearls. They should have recreated that one, but with Joe Biden.